Another example of my exploration with the animal gesture and its adaptation to furniture. I have made this in many different artistic approaches that aren't always functional, but rather sculptural. You can find some of these at my websites. 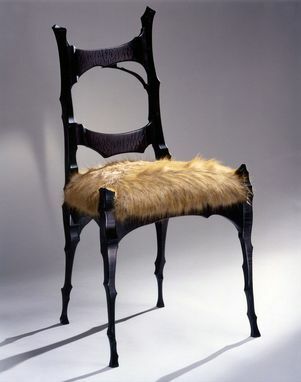 This is a dining chair that is fully functional, and could be made in multiples for a dining set.